When tablets first emerged less than a decade ago, they were a consumer device, not quite ready for business use. It didn’t take too long though before BYOD expanded from smartphones to tablets. While good enough for general use in a workplace, moving into more challenging environments proved the consumer-grade tablet just couldn’t cut it. Well, we can now turn the table on tablets because the Zebra XSLATE R12 performs to a higher standard that is critical for enterprise use. Zebra acquired the XSLATE R12 when it acquired its creator, Xplore, in 2018. The adoption also included the diverse L10 Series of rugged tablets: the XPAD L10, XSLATE L10, and XBOOK L10. Avalon Integration has put all of them to the test, and now we can share our findings on the XSLATE R12. The XSLATE R12 is purpose-built to work harder than any tablet. Its chameleon-like design lets you convert from a conventional tablet to a notebook, with a magnetically-attached companion keyboard for those times when you want to type in your data. Or use a stylus or tap the screen, if that’s your preferred style. The 12.5-inch display provides ample real estate for a good view of your screen, and the View Anywhere display is easy to view, well, anywhere—courtesy of the anti-reflective and anti-smudge glass and 1000-nit brightness. Corning Gorilla Glass 3 provides a tough surface that’s far more resistant to cracks and breakage than those delicate consumer tablets have. It’s all packaged with a magnesium-allow internal frame, rubberized enclosure, and IP54 sealing. 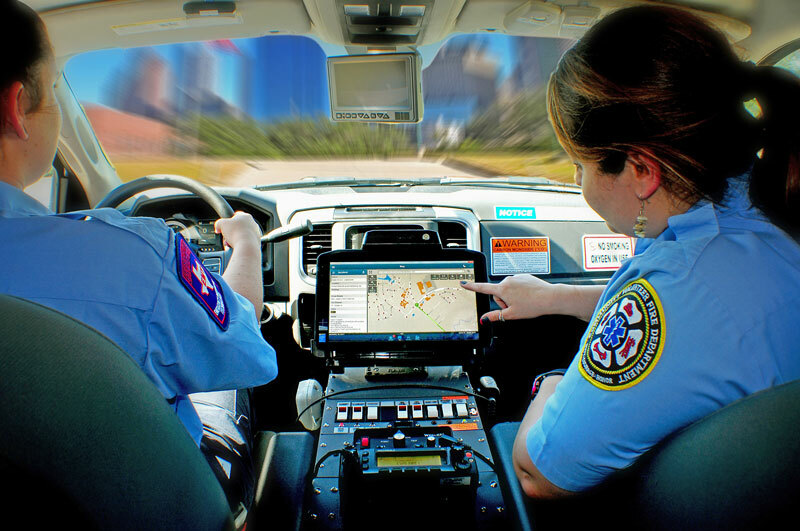 Drop this super-tablet on a hard surface from 4 feet, bump it around in a service vehicle, and even spill water on the device. That’s not going to stop it. Yes, we tried. So, we know the XSLATE R12 is rugged, but are there brains with this brawn? 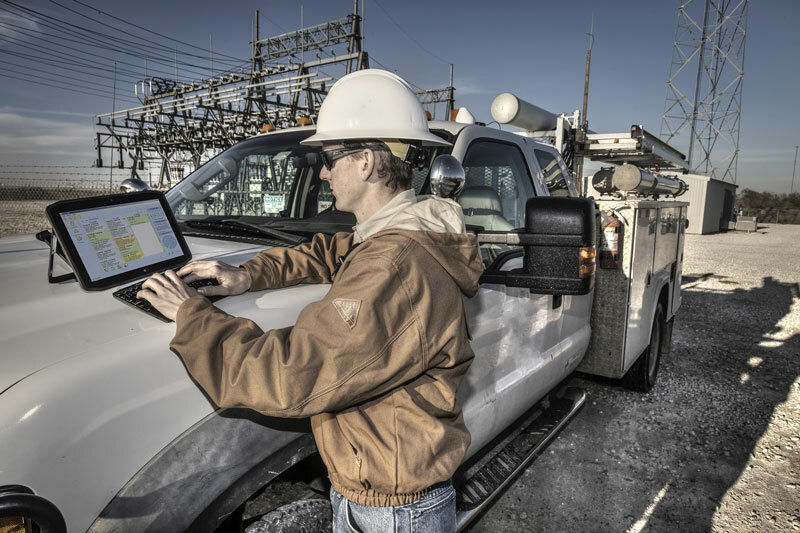 This Zebra rugged tablet is driven by a seventh generation Intel Core processor, so your mobile workforce isn’t sitting around waiting for downloads. The integrated SSD provides an extra layer of security that’s critical when device-sharing is happening. Just remove the drive and pass along the R12 to the next user. The fingerprint reader increases the device’s security even more. Who Needs a Tablet This Tough? The XSLATE R12 goes from office to vehicle to fieldwork. One device with unlimited possibility. We tested the tablet in a service van, using the mobile dock, and it was simple to snap in and then remove. It was also easy to enter information in the vehicle with a finger or stylus. The screen was easy to view, even at that late point in the day when the sun beats brightly through the windshield. We hooked up a barcode scanner and high-frequency RFID reader by adding the SlateMate module. The scanner was easy to use and didn’t add bulk or interfere with the compact profile of the device. Law Enforcement and First Response: Ticketing and eCitations, evidence documentation, investigations, emergency response planning, dispatch. Manufacturing and Warehousing: Inventory management, safety audits, compliance reporting, project management, asset monitoring and control, logistics, dispatch and routing, dock and yard management, quality assurance, incident reporting. Field Service: Repair and service documentation, parts inventory control, field sales, payment processing, delivery confirmation, work orders, claims to process, estimating, invoicing, route reporting. Healthcare: Electronic patient care reporting, remote patient monitoring, care team consultations, inventory management, help desk. Consumer tablets just aren’t designed to handle demanding conditions. The cost to repair, maintain, and replace them drives up the total cost of ownership. 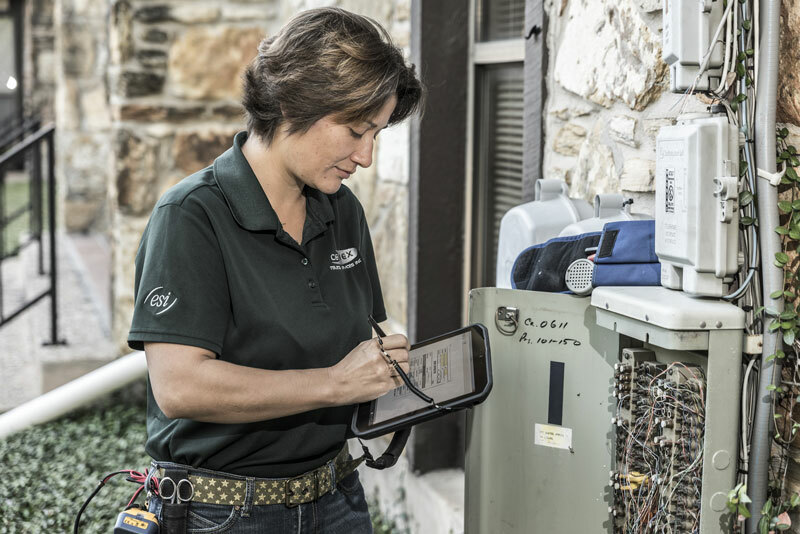 Choose a rugged tablet for a real return on investment. Avalon Integration is ready to show you the value of the Zebra XSLATE R12. Contact us to arrange a demo and learn more.